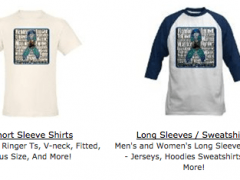 New Tripawds Apparel with Tagline! 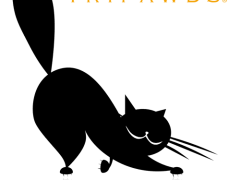 Tripawds three paw logo and tagline available on t-shirts, apparel and gifts for three legged dog and cat lovers! Three Legged Cat Designs Now Available! Three-legged cat t-shirts, hats, gifts, custom hand-made necklaces, bracelets and other jewelry for Tripawd felines and their friends. 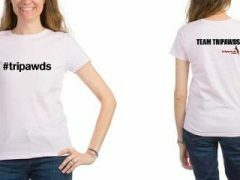 Upload your own photo to CafePress and personalize your own Tripawds t-shirts, hoodies, mugs and more gifts. 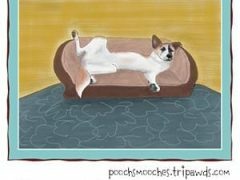 Personalize your own custom Tripawds t-shirts, sweatshirts and gifts with your own caption for this fun lazy three legged dog design.